No-tip stroller bag also great spare reusable bag for travel and clips to umbrella and jog strollers, luggage, shopping carts, and more. 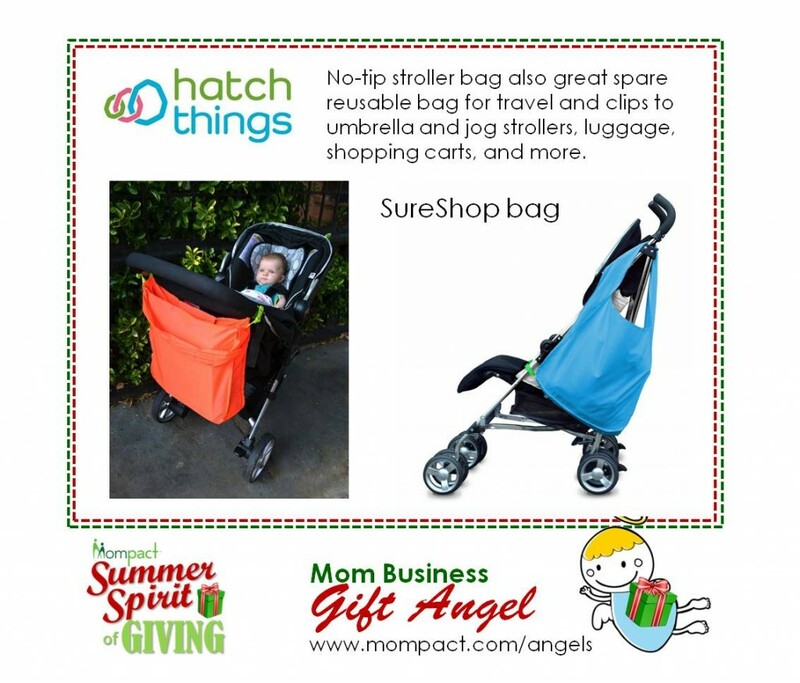 Hatch Things is a baby gear company based in Brooklyn, NY. While a new mommy in RISD’s industrial design program, HatchThings’ founder always had baby on the brain. Now a mom of three boys, she’s designing products for parents based on experience. After countless trips toting newborns and toddlers through her Brooklyn neighborhood to school, playdates, and assorted appointments, the SureShop™ no-tip stroller bag and Coldsnap™ coat-extension baby cover emerged. We create simple solutions for smart parents. And we are introducing 2 new products in Fall 2015 so please follow us and sign up on our site to have a chance to get a free sample and see these before they are out! Don’t let your stroller fall over! The #SureShop bag clips onto the side of your stroller to redistribute the weight and keep your stroller standing. Watch how it works here! #SureShop isn’t just for strollers! It’s the perfect spare bag to bring with you when you’re on the go. Our customers clip their SureShop bags onto carry-on luggage, carts and bicycles and attach their keys to the clips, hang dripping umbrellas and wet kid’s clothes on the outside of their bag. Tell us how you #styleyoursureshop!